Listen to a reggae-influenced number from the pair’s forthcoming EP on Ninja Tune. A dusty reggae rhythm bubbles beneath Vancouver act Evy Jane's downbeat-but-not-beaten vocals on new song "Worry Heart." At points, her intonation recalls Suzanne Vega's early work—it's that tension between curling introverted thoughts and an ambiguous yearning for another, I think. If you were paying attention you'll have spied her vocals on Grimes' collaborator Kuhyre-oo's latest a month or so back. 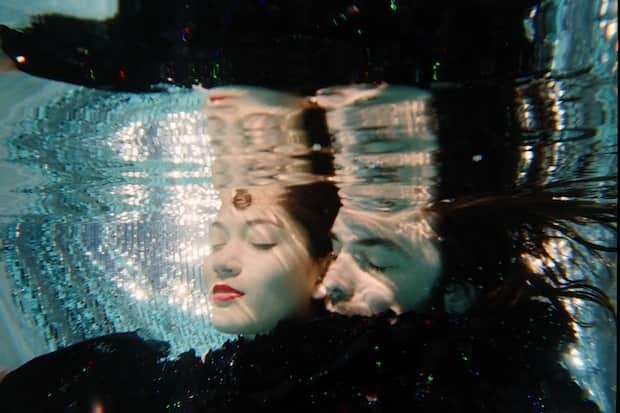 Despite the name, Evy Jane is not a one-woman-band but a singer/songwriter and a producer—Evelyn Jane Mason and Jeremiah Klein respectively—and "Worry Heart" is taken from the their upcoming EP, Closer, due out August 25th on Ninja Tune.